On Thursday March 28th Aldo has won The Voice of Indonesia. The first time I´ve heard him singing was about a year ago in Dito´s Café in Bajawa and I was touched by his beautiful voice. The Voice of Indonesia 2018/2019 was a great opportunity for him. Aldo is from Naga, a traditional village south of Bajawa. Starting on 22 January Lion Air and Wings no longer offer free check in luggage. Prices for checked in luggage depend on the route. When buying your ticket you can ad luggage with the amounts of 5 kgs up and untill 30 kgs. Paying for the extra luggage on the airport is (much) more expensive. The cabinluggage should not weigh no more than 7 kgs. Different than before now they are weighing all luggage. Since the end of December the Pasar Kuliner in Labuan Bajo has moved back again to the original place on Jalan Soekarno Hatta in Ujung (the northern part of Labuan Bajo). Unfortunately they have a prepaid ticket system with vouchers of several amounts starting at Rp 10.000 up and untill Rp 100.000. Starting 29th October Citlink opens the route Jakarta Soekarno Hatta to Labuan Bajo. Departure 12:00 noon, arrival 15:20 pm. Prices of flights start with Rp 890..000 so very competive with Garuda and Batik Air which are far more expensive. On Monday 13th Augustus most of the traditional village of Gurusina (near Bajawa) burned down. According to the latest news only 6 houses have been saved. As far as I know no personal accidents. 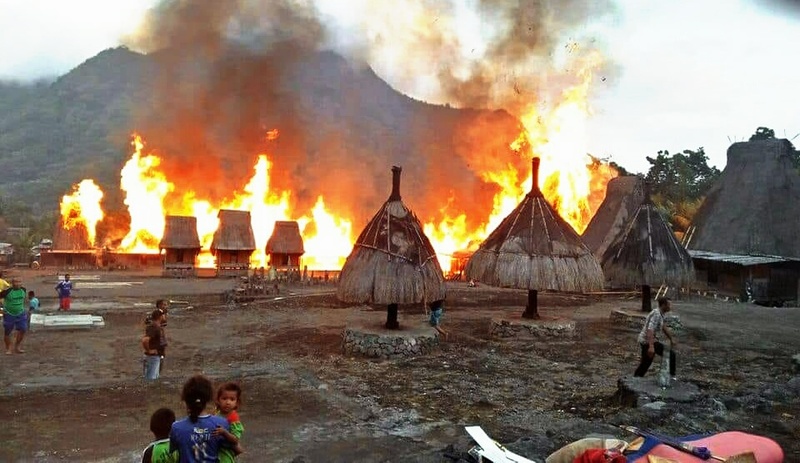 A double disaster for the villagers as (low key) tourism was a part of the income of the community. Gurusina is one of the three populair traditional villages close toe ach other. The other ones are Bena (the most famous one, once UNESCO nominated) and Tololela. 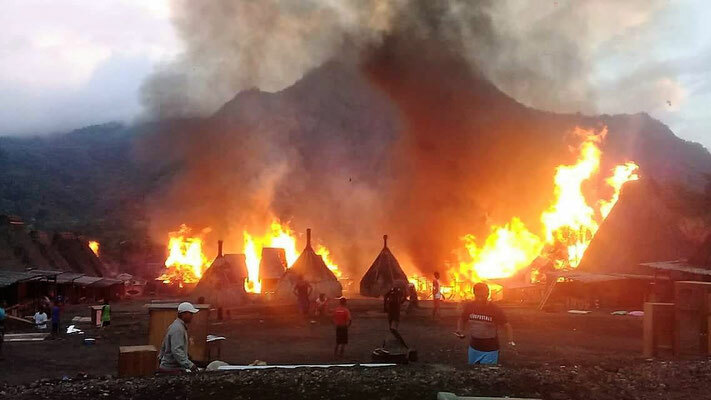 I hope travelers will take some time to pay a visit to Gurusina for a small donation so that they can rebuild there homes again. "All Indonesian carriers have been removed from the European Commission's airline blacklist, more than a decade after a blanket ban on the Asian state." So travelers can use carriers like Sriwijaya, NAM Air, Transnusa and Wings with confidence, And of course Garuda and Batik Air also. For flights to/from Denpasar - Labuan Bajo and Denpasar - Maumere NAM Air is a good alternative as planes are bigger and faster. In the sector "planning" I have added 9 trips in pdf file which can be downloaded. However these are just examples. You can contact me for tailored trips via email or Whats App. 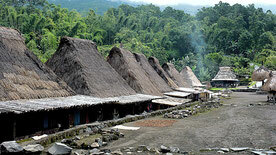 The trips which include Wae Rebo are still in progress as last month I have found some alternative roads for Wae Rebo. I will add them before the end of June. Please be patient. Carrier Transnusa which operates on Flores has reduces her luggage allowance from 15 kgs to 10 kgs since 14 May 2018. Be prepared for additional costs. As for a result of increasing tourism Labuan Bajo is in a state of many projects already for some years. The Pasar Kuliner has moved temporarily a few hundreds of meters inland. At the moment a big hotel is being built in the harbour area and finally they are building a real sidewalk from Ujung all along the Jalan Soekarno Hatta. And beside that many new places are being built like hotels and restaurants. So the town is one big construction site at the moment where safety is'nt always guaranteed. Indonesia is after China the number 2 in the world when it comes to plastic pollution of the surrounding seas. It has the attention of the government but sometimes you have to show the world the real impact. This video went around the world. Although this video is made on Bali, the whole country and many tourist destinations like Bunaken near Manado (also Manado itself) suffers from plastic pollution. 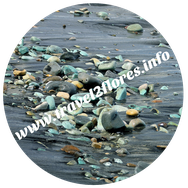 Also on Flores the seas are polluted, however not as heavy as in some other parts, except for the seas and beaches around Labuan Bajo which are the worst of the island. The following article is zooming in on islands east from Bali including Lombok, Moyo and islands of Komodo National Park. If you want to communicate with your relatives via sms or you want a 24 hour acces to the internet buying an Indonesian simcard is by far the best/cheapest way. These simcards for Rp 10.000 only can be buyed almost at every corner of the street. However, due to a new regulation starting on October 2017, all prepaid simcards with indonesian telephonenumbers have to be registered. Also for foreigners, also for tourists! Registration for tourists can only be done in person and with passport. Garuda Indonesia has changed the schedule from Amsterdam to Jakarta during European summertime (25 March-27 October). Old schedule departure 15:45/16:45 Amsterdam, arrival Jakarta 11:40 (next day). New schedule 11:05/12:05 Amsterdam, arrival Jakarta 06:50 (next day). This means that with the new schedule (only during European summertime) the flight Amsterdam - Labuan Bajo via Jakarta has a good connection (departure Labuan Bajo 10:50) and therefore from the Netherlands Flores can be reached in less than 24 hours (=next day). Departure from Jakarta is at 10:10 which is not convenient for travelers who arrive with international flights. The flight back Labuan Bajo - Jakarta dep 14:30 arr 16:00 is better and offers a chance to connect with your international flight. Batik Air is a reliable carrier and offers a competitive prices comparing with Garuda. 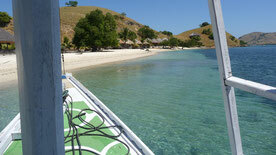 Pelni offers a 4 day trip to Komodo NP on one of the Pelniships Tilong Kabila. The trip is from 1-4 December. The website is not very clear about other dates/departures in the future. Dep 10:35 am (Jakarta time) - Arr 14:00 (Flores time). For travelers who want to fly direct to Flores this is still not convenient as most international flights arrive later on the day so you have to overnight in Jakarta. 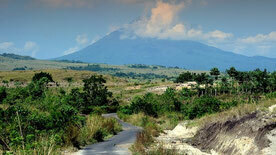 The alternative is an international flight to Denpasar, overnight near the airport and continue the following day.